Right on cue, first of September, first day of spring. And the weather is playing along. On campus this morning it even smells like spring - something to do with the new mulch they've put on the garden beds probably - and on the walk to the bus stop I waded through petals from trees overladen with spring buds. I even shrugged off my winter comfort/shabby clothes, put on a polka-dot scarf and red lipstick and did my hair (still with my usual work attire of jeans and Converse sneakers, but the result is more retro-glam than the slob I was becoming). But while we're welcoming some much-needed good weather, please spare a thought for those less fortunate. My friend Paula and her husband have had to abandon their home in New Orleans once again. Paula has just arrived in New Zealand, while Tom is driving through heavy traffic to St Louis, so they can't even be together to support each other. Meanwhile they are waiting to find out what Gustav does to their home and much-loved city. My thoughts are with them today. I was out of action for a couple of days this week past, having and recovering from minor surgery. I took Friday off work to stay in bed, but did a bad job of it. It's not often I get to be at home alone (child at creche) without feeling I should be doing something, and what do you know, with no guilt in my brain a new idea floated in unannounced. Now, normally I would be very suspicious of a new idea while I'm at this stage of writing my novel, and frankly, I'd be a little worried too, as it would make me think my novel was going badly to be letting this usurper come a-knocking. But the big surprise was that it was an idea for a film, not a novel. And as I was having a guilt-free day of doing nothing, my mind was open and it just kept coming and coming in that delicious way that my (infrequent) ideas seem to do. It's one of those ideas that is so simple and obvious that it's unbelievable that it hasn't been done before. I even jumped on the internet to do a bit of research and all my ideas were backed up by real, live, juicy facts. No, I'm not about to turn away from my job as a novelist and become a screenwriter - I have never really had those kinds of ambitions. But I would like to moonlight for a wee while. Indulge myself in tutu-ing away on something that has no deadline or expectation. I think I'll write a treatment and pass it on to friends and family in the film business and see what they make of it. If they think it has possibility, I might take it up as a project once the novel is finished. Or I might not. It depends how loud it gets. I know how annoying it is to me when people say "oh, I had an idea for a novel, I might just tippy-tap away and see what happens," so I will acknowledge that screen-writing is every bit as hard as writing a novel and I shouldn't be taking it so lightly. I much prefer novel-writing for the control it gives me over my material. Screenwriters I know are bound by producers, film commissions, and that's just at the script stage; then there's the fact that in order for it to be fully realised, someone has to come along with pots of money, whereas if you write a good novel it is relatively inexpensive for a publisher to produce. So it is not without a bite of humble pie that I am taking on my new little project, and acknowledgment that it's not as simple as it sounds. I have just seen the lovely new US paperback cover of The Sound of Butterflies on the Barnes and Noble website, so I am taking that as the go-ahead to share it on my blog. 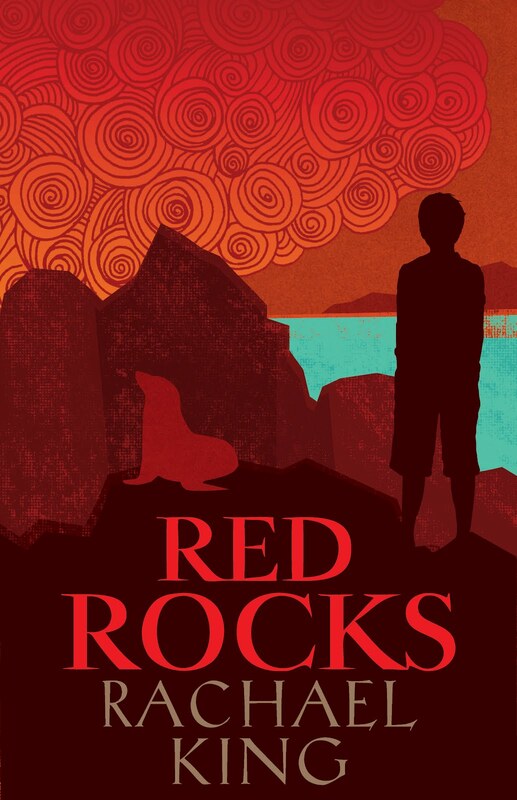 It is to be released early November, under the Harper Perennial imprint, just in time for my trip to Portland, Oregon for the Wordstock festival. I think it's gorgeous - one of my favourites. 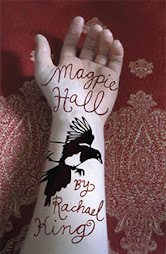 Harpercollins US have also updated their website so all their authors get a new page (or series of pages). Mine is here. I can see now why some writers take ten years to write their second books. I’m thinking of people like Donna Tartt and Junot Diaz. Second books are hard. Well, technically speaking it’s not my second book I’m working on; it's my third, although as a follow up to my first published novel, I will call it my second. It’s not that I’m paralysed by anxiety. If I go looking for the anxiety, I can find it easily enough, and find plenty of things to feed it – will this one be better than the last? Will my publishers like it or reject it? Will I be able to finish it before my residency (and salary) runs out? – but I’m not feeling that anxious, honestly. I’m just looking from the outside in for a moment, cool and detached, at the process I am going through with this one, and it has made me think of Donna Tartt writing The Little Friend. Of course she had extra pressure – how to follow up a mega-hit – that thankfully I’m not burdened with. I’m just really interested in the way this novel keeps slipping out my grasp, like soap in the shower. Just when I think I’ve got it, it twists away again. One moment I think I know exactly what it is, and the next it morphs and changes and I realise that what I have written so far is no more than a bit of dabbling to get me ready for writing the novel properly. 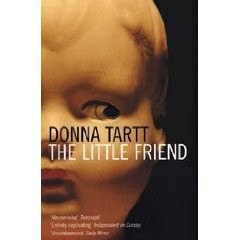 I imagine Donna Tartt starting The Little Friend with an idea: little girl’s brother gets murdered; little girl is kind of quirky, with a quirky Southern family; quirky little girl sets out to find her brother’s killer. I bet she doesn’t even know until she gets to the end that Harriet isn’t going to find the killer. Tartt probably thinks the whole time she is writing, ‘Well I don’t know who did it, but I’m sure if I keep writing it will all become clear.’ Except it doesn’t. So she keeps writing. And as she writes, the book changes – she needs to introduce a strange misfit family into it as suspects and she becomes enamoured of them and wants to give them a point of view. She starts to love writing their dialect. For a while, she follows them to see where they will take her. She finishes a draft and goes back and changes lots of things. She rewrites passages so they sing, so she can really feel under the skin of the character, view everything through their eyes and write the world accordingly. I understand now. I just hope and pray that I can condense that process into a much shorter time. *Warning: may not actually be how Donna Tartt wrote The Little Friend. In other words, don’t quote me. Sunday Salon - Revisiting Jane. One of the greatest things about being writer in residence at a university is the access it affords to that wonderful thing that universities supposedly stand for - knowledge. This means I have free rein (reign?) of the libraries, which has proved very useful for research for the latest novel. I even think that being here has changed my novel significantly: as I make use of the resources, the characters, story and structure of the novel are all making use of them too. I think it is very interesting how outside factors, such as where you are when you write a novel, can have such a powerful influence, but that's another post topic altogether. The point of this post is that this week I attended a lecture: my first English lit lecture in about 13 years. It was a stage 3 course on the Nineteenth Century Novel, a subject that was very close to my heart when I did my BA in English many moons ago. This particular lecture was on Jane Eyre, by Charlotte Brontë. Due to all the reading I've got on my plate for the festival, I didn't get a chance to re-read the novel before the lectures began, but I was pleased to find that I still scored 8 out of 10 on the quiz the lecturer gave to see who had actually finished the book, so it has stayed with me for many years. I loved the lecture. It made me, once again, wish that I could do my BA all over again, or at least transport myself back in time and make the younger, distracted me pay a bit more attention and get a bit more out of it. I loved the books then; I didn't love the lectures or the coursework or the exams. Older me would relish the lectures and the essays, if not the exams. I loved hearing about the context in which the book was written, the life of the Brontë family - all which I knew about but enjoyed hearing in such an intense, distilled environment as a lecture on the novel. At the beginning, after the quiz, the lecturer asked the class what they thought of the book. One young woman said that she was a huge Jane Austen fan, and that when she started Jane Eyre she was disappointed that it was so different in style, that she couldn't get into it, but that by the end she was won over. It reminded me that when I studied stage 1 nineteenth century lit, I had the exact opposite reaction when I started Pride and Prejudice. 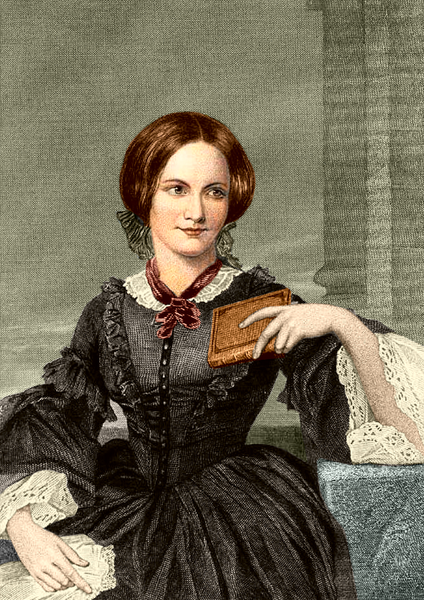 I was a big fan of Jane Eyre, Wuthering Heights and Tess of the D'Urbervilles. I wrote in my journal at the time that I thought P&P was boring, that it was so mannered and dispassionate. I don't even think I got past the first chapter. Now I love Jane Austen, but it was interesting to realise so many years on why I had that first reaction to her. Charlotte Brontë herself said of Austen that she was "only shrewd and observant" and not passionate, that her work was "a carefully fenced, highly cultivated garden, with neat borders and delicate flowers; but no glance of bright vivid physiognomy, no open country, no fresh air, no blue hill, no bonny beck". I'm looking forward to diving back into Jane Eyre when I get the chance, and upcoming lectures include Wuthering Heights and The Woman in White, both of which I plan to read (re-read in the case of WH) to get the most out of the lectures. And yes, they do all have something to do with the novel I'm working on; I'm just not sure exactly what just yet, but I'm sure that all will become clear. Life is just busy. That's all. Regular readers of this blog will notice that I haven't been posting as much of late as I usually do. That's because I've been crazy busy and the blog seems to be the first thing to fall away (well, maybe not the first, that would be housework, packed lunches, and on some days, novel-writing). Apart from trawling second-hand and vintage clothes shops for the perfect outfits for husband and me to wear to the big band ball a couple of weeks ago, I have been teaching some classes. The first was when I spent a day back at my old school, the second was a continuing education night class at UC Opportunity. I guess it would be useful to tell people about these things before the fact rather than after, but that seems a little too organised, and I haven't quite got the hang of using this blog as a publicity tool. Anyway, the point is that my headspace has been taken up with preparing for those classes and they have nudged nearly everything else out if the way. I definitely enjoyed the classes, but was also glad when they were over, as it's usually the time leading up to them that I find the hardest. I probably need to train myself to only think about them a day or two in advance, thereby shortening my anxiety and preparation time. Next up, after one more UC creative writing class, I have the session I am chairing at the Christchurch Writers Festival, so I am still reading around that, but at least that's the kind of prep I can do while lying in bed at night. I saw a writer friend in the weekend who will also be at the festival. He said that he had been asked to be on my panel about blogging but had turned it down. I pondered aloud as to why he would be on the panel when he doesn't have a blog and he said "because I hate blogs". Which seems to me to be the most pointless reason to have someone on a panel about blogging. It would be like having someone who hates crime fiction on a panel about crime fiction. Presumably if you hate crime fiction, you don't read it. Presumably if you hate blogs, you don't read them, so what could you possibly have to add to the conversation? Sure, it's good to have someone to play devil's advocate and ask the hard questions, but surely that is the job of the chairperson? My reaction to people who say they hate blogs is to simply suggest they don't read them. It's like any medium - there is good stuff and there is bad stuff. Just because there are a lot of bad magzines out there, I wouldn't say "I hate magazines" and write them all off. But maybe this friend hates them on principle because he is a columnist and he makes his livelihood this way. Blogging to columnists probably looks a lot like reality TV does to writers and actors of legitimate drama. There is so much crap out there, and people wanting to get their 15 minutes of fame without getting paid for it, that it devalues the genuine talent of people who need to make a living in the print media. But I think it is wrong to write the whole medium off. And I guess to hear more about my thoughts on why, you'll have to come to the session at the Press Christchurch Writers Festival*. *Maybe I'm getting the hang of this promotion thing. I know this is supposed to be a blog about books, but I don't remember the last time I got so excited by such an immense musical talent as Renee-Louise Carafice, and I have to write about her. I feel as though I'm in love, or at least have this massive crush - on her songs. Imagine melding Liz Phair with Joanna Newsom, but the product being even more stunning than the sum of its parts. To make a more New Zealand connection (Carafice is a New Zealander, now living in Chicago), I see her in the same vein of musical genius as David Mitchell (3Ds) and Ed Cake (Bressa Creeting Cake), with songs that reach deep inside you in a way you just don't quite understand; it's like they've always been there inside you and only now someone is pointing them out. You didn't realise they'd been missing from your life, but it's as if someone has just told you that you need air to survive, or that the ocean exists. I feel ashamed to call myself a writer when trying to articulate how I feel about music - which is why I could never be a music journalist. The music I love best is the music I have such a visceral response to that putting it into words seems to trivialise it. I only just discovered this wonderful musician when I heard her being interviewed on National Radio last Sunday. In between playing her songs, which I found fragile, defiant, surreal, funny and steeped in meloncholy, all at the same time, she talked. For once I was hungry to listen to what a musician had to say (unlike 99% of contemporary musicians I hear being interviewed). She talked about her time in a mental institution where she was treated for depression, and most of the songs on her debut album Tells You to Fight seem to be about that time in her life. But she talked about it in a way that didn't make me feel sorry for her; it just made me want to hear more about her way of looking at the world, a world where she rows a boat out on the ocean to sing someone to their death, or burrows far into the earth and makes a kingdom of the people she finds there. Luckily for me, she is touring New Zealand at the moment and I went to see her at the Harbourlight in Lyttleton last night. And seeing her live just made me love her even more. Sitting there alone on the stage, swapping instruments with every song, that strange and beautiful voice... lyrics that were wickedly funny, and heart-breaking, but not just words: the melodies so weird and sad as well. The music I most relate to makes me think of my own work, makes me want to make it better, to try harder to convey a certain atmosphere, feeling, aesthetic. Her music makes me feel the way I want my books to make me feel. I came away feeling inspired. For that reason, she's going on my list. and use the banisters as roosting places. The wonderful video for Bodhisattva can be found here.